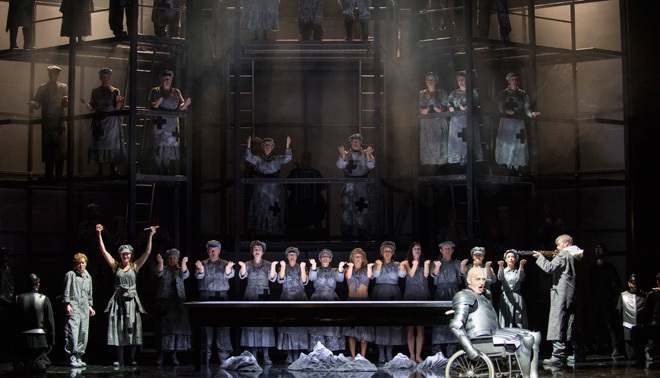 A bit closer to the present, my Birmingham Post reviews of all three operas in WNO‘s week-long autumn season in Birmingham are now online: the company’s basic (and now rather elderly) production of Carmen, and David Pountney’s new productions of Rossini’s Moses in Egypt and William Tell. (Ignore the strange single-sentence paragraphs; it’s editorial policy at the Post). Act 3 of Rossini’s William Tell: X-Men meets Patrice Chereau in David Pountney’s new WNO production.